“We should get the kids together to play sometime!” As a parent, you are probably very familiar with this statement. It is common for parents to suggest playdates for children who get along well at school or in other public settings. However, the sentiment doesn’t guarantee action. And the lack of follow-through is understandable. Hosting a playdate can be intimidating. It requires making space in your schedule, inviting others, and potentially opening your home to acquaintances. Still, playdates include many benefits for everyone involved. Here are five reasons you should host a playdate in the near future. Since playdates are often organized for children who are already friends, this benefit is for the parents! When work and other obligations rule your schedule, it is difficult to find time for adult friendships. Fortunately, when you host a playdate for your child’s friends, you gain the added benefit of spending time with the other children’s parents as well. This is a chance to make small talk, learn about their lives, and even make some friends of your own. 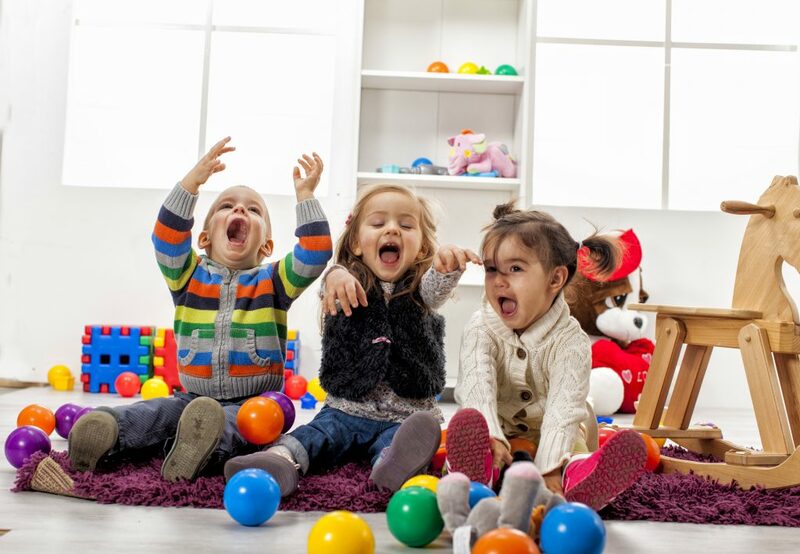 It is important to note: if you host a playdate in your home, be sure to clarify if you expect parents to stay with their children. While most parents would assume this is the case for pre-elementary aged kids, saying something like, “We’d love to have you and your child over on Sunday afternoon!” will clarify your intentions. No matter how much you discuss social skills with your child, they won’t sink in without practice. School and other activities give your child the opportunity to rehearse sharing, showing empathy, and other forms of kindness. However, changing the venue and situation gives your child fresh experiences that require social thinking. With parents close by, your child and their friends can work on problem-solving and cooperation safely and successfully. The ratio of parents to children is especially helpful in this scenario since each child will have his or her own coach to walk through any conflicts. Circle time, art class, music class, gymnastics… a child’s day is often full of structure and instruction. Even in play-based environments, kids are shepherded from one activity to another according to the leader’s schedule. In contrast, when you host a playdate, it allows children to self-direct. They choose their own activities from the options available, as well as dictating the duration and direction of their play. This sort of playtime is important for a child’s brain development, and playing alongside other children (with differing ideas) challenges your child in healthy ways. Every parent has faced a day and wondered how in the world they would keep their children occupied. Even in days full of work, school, errands, and chores, children seem to possess boundless energy and enthusiasm for new activities. Hosting a playdate takes the pressure of entertainment and novelty off of you. At the same time, a playdate gives your child an opportunity to take a break from your regular routine. Parents often see their child in limited circumstances. For instance, you know how they behave and communicate when they wake up and when it’s time for bed. Typically, parents are also keen observers of particular relationships, such as siblings or a child and grandparents. However, it can be difficult to find opportunities to observe your child in relationships and situations outside of your normal daily activities. When you host a playdate, you get the opportunity to observe your child playing with their friends. This will give you new insight into your child’s strengths and challenges, as well as helping you understand and connect to your child more effectively. Deciding to host a playdate doesn’t mean you must clean your house top to bottom and prepare gourmet snacks. In fact, you can get all the benefits of hosting just by inviting other families to join you at the playground for an afternoon. And while it may take some initiative to extend the invitation, the benefits of playdates far outweigh any initial discomfort or inconvenience they may cause. If you are looking for childcare where your child will form important friendships, consider Legacy Academy Satellite. Call or visit today for more information.